Colorado offers prospective communications experts several options for master's in communications programs. Students can choose from on campus, online and hybrid programs, with a number of degree specializations such as marketing communication, public relations, organizational communication and many others. Upon graduation, communication experts will be well prepared to begin their careers in academia or in one of the state's major industries, such as tourism, aerospace, technology, outdoor recreation, financial services or health and wellness. Read on for more details about master's in communications programs available in Colorado. Colorado State University in Denver offers two master's-level communications programs, one being a traditional on campus program and the other a hybrid online/on campus professional program. What to Know: The Master of Arts in Communication Studies program is offered in a traditional classroom format and offers the following areas of study: Deliberative Practices, Media and Visual Culture, Relational and Organizational Communication and Rhetoric and Civic Engagement. The Master of Communication and Media Management degree is an online hybrid program that is aimed at professionals who want to advance their careers in communications and offers courses in traditional and digital communications tools, strategies and practices. What Does It Cost? : Graduate tuition and fees for the on campus program is $757 per credit hour for Colorado residents, and $1,557 per credit hour for non-residents. The hybrid program is $709 per credit hour. Anything Else? : The application deadline for admission to the fall semester is January 5 for the on campus program. The application deadline for the online program is June 30 for admission to the fall semester. The University of Colorado in Boulder offers a traditional on-campus Master of Arts in Communication program. What to Know: The Master of Arts in Communication program emphasizes three areas of specialization: Community & Social Interaction, Organizational Communication and Rhetoric and Culture. What Does It Cost? : Full-time graduate level tuition is $6,372 per semester for Colorado residents, and $14,922 per semester for non-residents. Anything Else? : The application deadline for program entry in the fall semester is December 1. The University of Colorado in Colorado Springs offers a traditional on campus Master of Arts in Communication program. What to Know: The Master of Arts in Communications program allows students to tailor their course of study to fit their professional goals. Students are encouraged to develop expertise in either professional communication with an emphasis on organizational communication, leadership and strategic communication or advanced general studies with an emphasis on communication competence in their own particular area of interest. What Does It Cost? : Full-time graduate level tuition is $5,176 per semester for Colorado residents, and $10,468 per semester for non-residents based on a course load of 9 credits per semester. Anything Else? : The Master of Arts in Communication program admits students on a rolling basis with program starts in the fall and spring semesters. The University of Colorado in Denver offers a traditional on campus Master of Arts in Communication program. What to Know: The Master of Arts in Communication degree is a generalist program with professional and academic tracks. The 33-credit program requires 11 courses including one Introduction course, one methods class, five seminars and four electives. What Does It Cost? 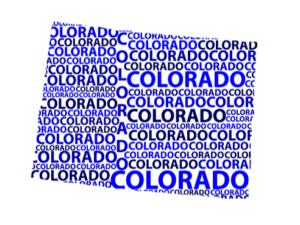 : Graduate level tuition is $455 per credit hour for Colorado residents, and $1,243 per credit hour for non-residents. This tuition cost does not include additional mandatory fees and program materials. Anything Else? : The priority application deadline for a fall semester start is February 15. Applications will be considered until May 1, which is the non-priority deadline for fall semester start. October 1 is the priority application deadline for a spring semester start. The University of Denver offers three options for master's-level communication degrees, all offered as on campus programs. What to Know: The University of Denver offers a Master of Arts in Communication Studies program, which is a broad generalist program that allows students to concentrate in interpersonal and family communication, culture and communication, or rhetoric and communication ethics. The Master of Arts in Media and Public Communication combines theory and practice and allows students to choose from concentrations in strategic communication or media and globalization. The Master of Arts in International and Intercultural Communication allows students to choose from a wide variety of courses to develop their own tailored areas of concentration. What Does It Cost? : For the 2017-2018 school year, the cost per credit is $1,320. Anything Else? : The priority application deadline for all three programs is February 15 for a fall semester program start. The University of Denver's University College offers an online Master of Arts in Communication Management program with several degree concentrations for students to choose from. What to Know: The Master of Arts in Communication Management program offers courses entirely online or on campus in the evenings, and offers degree concentrations in Public Relations, Organizational Communication, Organizational Development, Marketing Communication, Learning and Development and Alternative Dispute Resolution. What Does It Cost? : Tuition for the entire master's program is $32,928, which does not include related program fees. Anything Else? : Classes begin June 11. The program is comprised of 48 credits, which are taken as 12 courses. The University of Northern Colorado in Greely offers an on campus Master of Arts in Communication program. What to Know: The Master of Arts in Communication program is designed for working professionals, with flexible class schedules offered in the evenings and weekends with some summer and online availability. What Does It Cost? : Tuition for the M.A. in Communication program is $5,193 per semester based on a nine-credit course load for Colorado residents. Tuition for non-residents is $10,008 per semester. This tuition cost does not include additional university and course fees. Anything Else? : Applications are accepted on a rolling basis, but the priority deadline for fall admissions is March 1.